January 25th was a busy day for Afilia Saga’s little sister group Iketeru Hearts: they spend the whole day filming the music video for their upcoming 4th single, “Zaishyou no Lucifer” (Sinful Lucifer). We were there and will tell you all about it in a special photo report from behind the scenes! The girls and staff had to wake up extremely early to jump right into the game. Starting from 6am, the first half of the day was dedicated to filming each of the girls’ close-up shots, as well as dancing parts, all dressed up in front of a green screen. Director Totsuka Fujimaru played a big role in keeping a light and fun atmosphere throughout the whole day, mimicking examples of poses or expressions the girls had to try for their scenes. But in spite of Mr. Totsuka’s hilarious impersonations of Lucifer or vampires, some of the girls, like Ochi Karin, still felt nervous. 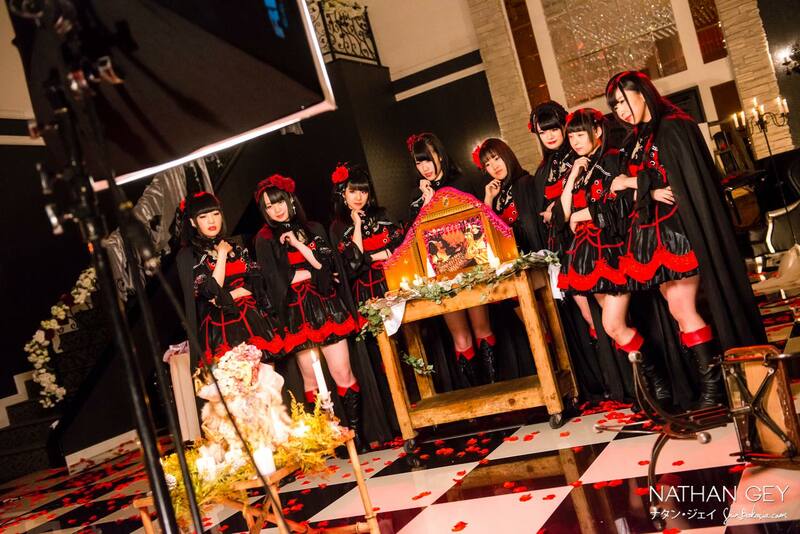 “Zaishyou no Lucifer” is the first MV for which Iketeru Hearts members have to tackle more complicated acting work! The whole team left the first studio early in the afternoon to move to the second location, in Saitama prefecture, to film the core parts of the MV. It was very interesting to observe the girls take knowledge of the script, and “Zaishyou no Lucifer” has a completely different vibe from their past singles! Some of them had trouble keeping a straight face sometimes, but in the end everyone worked really hard to focus on delivering their best performance. The location is commonly used for wedding celebrations, but the room was redecorated just for today’s event in a gothic style. Long dark red curtains, dim lights, rose petals and candles were setting the mood for what looked like a baroque style Lucifer-worship chamber. 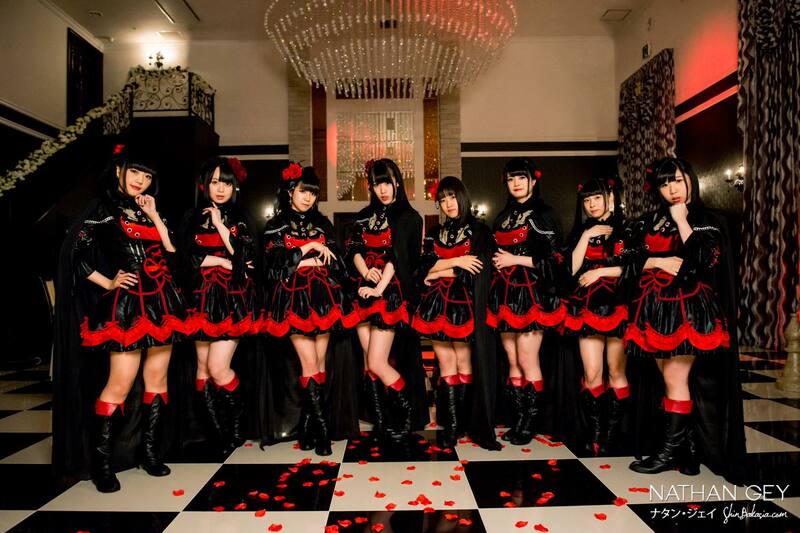 As you can tell in the final MV released yesterday, the story starts with the Iketeru Hearts members as priestesses. As they are praying and worshipping Lucifer, by chanting spells and bowing down to their god, we can spot a mysterious man spying on them from the staircase, visibly fascinated by the scene…. But as the man trips and falls, the noise alerts our priestesses who come running and capture the intruder! After grabbing him and dragging him into the room, the girls tie him up on a chair. Manami Kazune and Tachibana Rie then put a rabbit-eared steampunk-looking mask on his face, and attach mysterious clips on to his ear. Usami Madoka, the cult leader, then brings in a strange sacrifice table… the ritual can start. She shows him what seems to be evil pictures to the man, who screams in fear. The other girls walk around him in circle, reciting strange chants, and Madoka then joins them. As the intruder gets crazier and crazier, the story ends on him giving up to the psychological torture. He suddenly looks relieved, or even happy, as if our priestesses managed to convert him to their deadly kawaii cult… and disappears, only leaving his ear and the rabbit mask behind him. These scenes were very interesting to watch, especially for Iketeru Hearts who had never done such work before. The actor playing the intruder was perfectly on point, even if some of the girls had trouble getting comfortable at first. Most of them went smoothly, especially Madoka’s parts. Some others needed more shots, as the action was a little bit more complex; the scene where the girls grab and drag the man into the room, as an example, was more challenging. “Zaishyou no Lucifer” overall marks a big growth for Iketeru Hearts, evolving into a more mature group, tackling more complex jobs in their career. Even if the filming felt stressful, the girls understood that this 4th single is a noticeable step-up not only in terms of budget and quality, but also in complexity. In the end, everyone gave their absolute best to provide an outstanding performance, and we can easily conclude that it is a complete success!